Cover of John King's very portable book, "Cityscapes"
Let’s face it. You can’t really lug a serious book about architecture to the beach, or even on the bus. Typically they are either hefty, hardback tomes, made even heavier by glossy, full-color pages of photography of the work being discussed, or they can venture into dry, academic treatises that often aren’t really fun to read. This spring, though, fans of architecture can find some good books on our city, including one that you can easily carry on local walking expeditions. 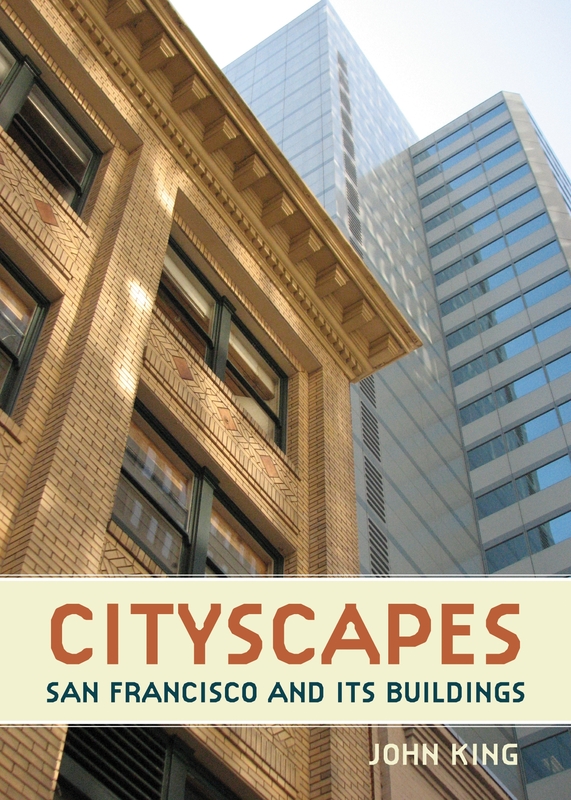 San Francisco Chronicle architecture critic John King has just come out with a very readable and portable book, “Cityscapes” (Heydey, 111 pages, $14.95). Chronicle readers will recognize the buildings here as having appeared in brief homage in King’s Sunday column, “Cityscape.” The book presents 50 San Francisco buildings in all-too-brief description, and excellent photos, all taken by King for his column, with input from his editors and photographers at the newspaper. King, a two-time finalist for the Pulitzer Prize in criticism, can write. Readers who missed these columns will be engaged by his elegant prose; some may be flummoxed by a few of his unusual selections. That is probably my favorite aspect of this little book, which is also very affordable at $15. It captures buildings in a new light, and shares lovely aspects of some seemingly bland or unloved structures: the “pearly stucco” facade of the garage at 450 South Street, the “brooding grandeur of the rough concrete” of the brutalist Glen Park BART Station, the “clattering, metallic beast” that is the San Francisco Federal Building. Just last week I walked by the Flatiron Building in the morning sun and looked up at the cornice and its “splashy parade of Gothic embroidery” which I hadn’t noticed in such detail before. One of my favorite city garages, George Applegarth’s circular Downtown Center Garage on Mason Street, is called an “unapologetic ode to automotive convenience” in a town where cars are scorned. Cityscapes gives local architecture fans new looks at both stalwarts and underappreciated structures. King has been on the lecture circuit around the city, and has an upcoming talk and book signing at the Mechanics’ Institute Library, that gem of an institution at 57 Post Street, designed by Albert Pissis. King will be at the Mechanics’ Institute on Thursday, May 19, at 6 pm. On Tuesday, May 31, he will be at SPUR, 654 Mission Street, at 6 pm. Preservationists will love Port City. The anticipated history of San Francisco’s port is finally available. 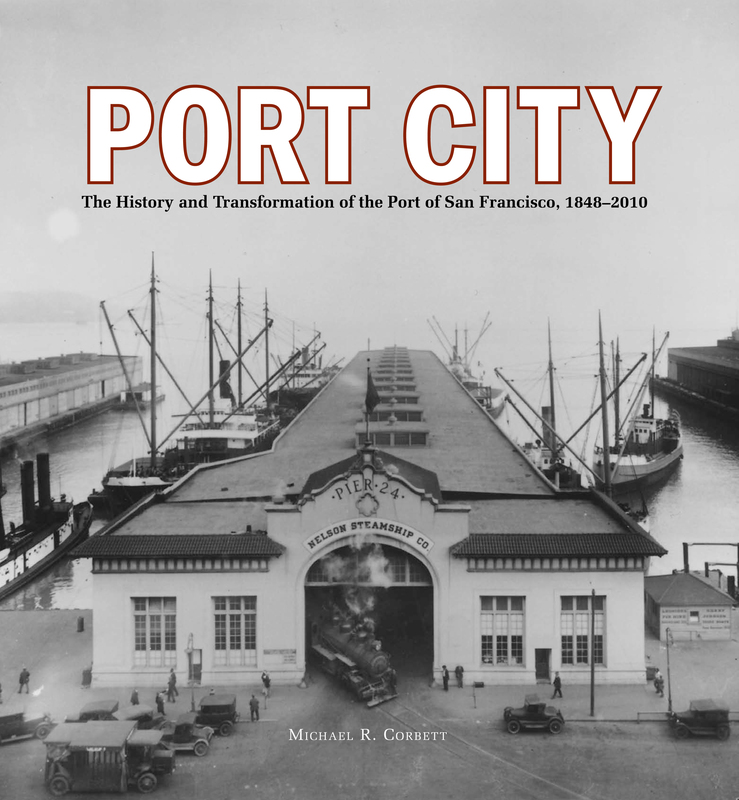 Published this year by San Francisco Architectural Heritage, Port City, written by Michael R. Corbett, is a comprehensive history of the city’s waterfront and its buildings. (San Francisco Architectural Heritage, 248 pages, $65 non-members, $52 members). 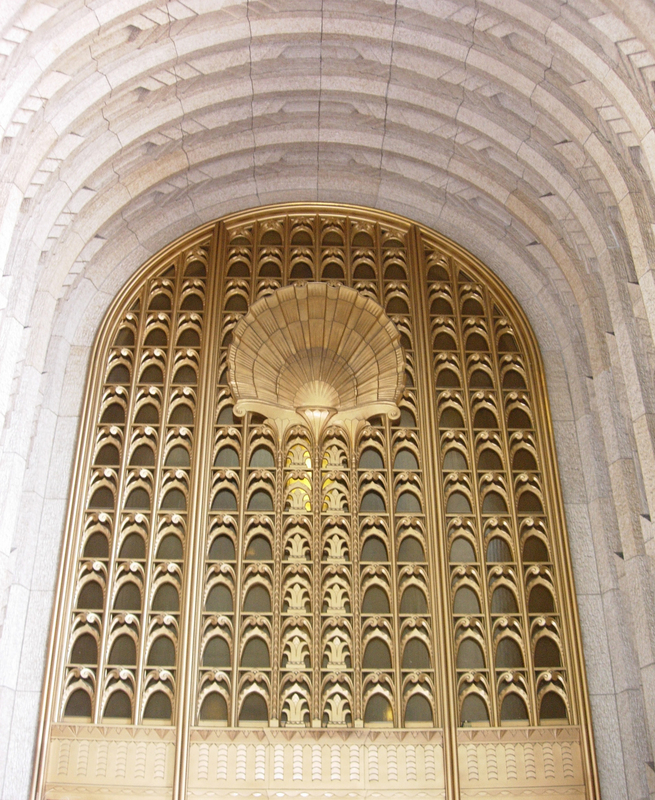 The book by architectural historian Corbett evolved from the 500-page nomination and subsequent listing of the Port of San Francisco to the National Register of Historic Places. A 3-mile section of the most in tact, early 20th century finger-pier waterfront in the U.S. was named a historic district in 2006. Architectural historians Marjorie Dobkin and William Kostura worked with Corbett on the nomination. The book received funding from firms like Plant Construction, the city’s preservation fund committee, San Francisco Waterfront Partners and individuals. Telling the long history of the evolution of the Port of San Francisco is no easy feat, spanning from 1848 to 2010 as the book does in 248 pages. The sometimes dry text is offset by vivid vintage and contemporary photography and large, full-color maps. From the early creation of the seawall, the arrival of the transcontinental railroad, the infamous labor disputes of the 1930s, to its irreversible decline after World War II and the triumphant reinvention of the Ferry Building, the port’s history is integral to the city’s. This gorgeous coffee-table sized book also makes me want a new, updated edition of my dog-eared paperback of Splendid Survivors, the prior publishing venture in 1979 by Heritage, also written by Corbett. Just as Splendid Survivors is a must-read for every student of the city’s architectural history, the even better-produced Port City will likely end up as another must-have. initially looking for. I Appreciate it.